Steel Skill's expert knowledge of commercial kitchens includes specialisation in fully self-contained mobile commercial kitchens for training or mobile catering. We specialise in custom made kitchens and equipment. Whether you want design, construction, or installation, you will be guaranteed the best attention and service from our experienced team. Steel Skill offer products and services involved in the entire process of ductwork, ducting, and canopies. We are notably experienced in designing and installing exhaust extraction and filtration solutions to suit your application. Ranging from simple tasks to complex or unique projects, our broad range of experience combined with a skilled team and first class workshop facilities sees us well equipped to cater for your individual needs. We manufacture anything and everything metal. Steel Skill’s balustrades and handrails meet impeccable standards for durability and sustainability. Catering for all environments and all designs, we can manufacture balustrades and handrails to meet all of your needs. Our specially designed Mobile Commercial Bars are just what you need for your catering business. Perfect for any function! Steel Skill is located in Albury-Wodonga on the NSW and Victorian border. Steel Skill was founded by Jack and Trish Moore in 1988 and has since grown to offer a wide range of quality goods and services. We operate from a modern & well equipped facility in Wodonga, on the VIC / NSW border. In addition to our fabrication facilities we have extensive experience in the construction industry. We are engaged in Manufacturing and Supplying of a comprehensive range of Industrial Products. With our new machine we are now capable of cutting various thickness types and materials. From our vast experience and understanding in the importance of design we provide custom catering of food service equipment, Meat Rail Systems and many more. We also provide specialisation in mobile kitchen equipment for training or mobile catering. Our high standards of durability and sustainability allows us to manufacture for all environments. 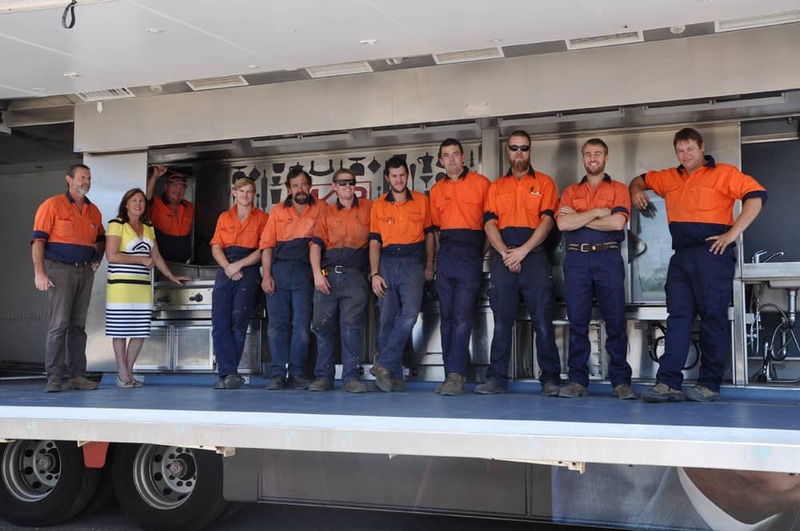 With over 30 years of experience, a “Can Do” attitude, first class equipment, and a dedicated team, we deliver to numerous customers all around Australia. We custom manufacture and install a variety of mild steel, stainless steel, and aluminium products, offering finishes in powdercoat, paint, or galvanizing.